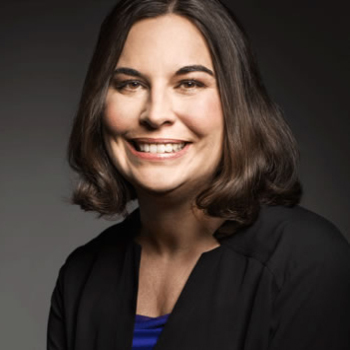 After spending nearly a decade working at Boston-area software companies, Bridget Frey, A.B. ’99, found herself preparing for a cross-country move to Seattle. With each twist of the real estate process, she became more frustrated by the challenges of selling a home and buying a new one in an unfamiliar city. Frey worked with a Redfin agent to complete both real estate transactions and was impressed by the tech-driven company. Her experiences traversing the tumultuous housing market of the Pacific Northwest inspired her to pursue a position at Redfin, whose CEO she knew from a previous position at a software startup. Shortly after relocating to Seattle in 2011, Frey joined the firm as director of analytics engineering. She quickly found a niche at the growing company, drawing on her expertise in software engineering and data systems, and was named chief technology officer last year. At Redfin, Frey has led the development of several tech-forward features designed to simplify the home-buying process. The company’s “Book It Now” feature, for instance, lets individuals schedule a home tour on-demand, which could give customers an edge in competitive real estate markets. By collecting information about a customer’s tastes and interests, and then pairing that data with information about available homes, the firm’s software engineers also provide distinctive insights for agents. The long-term relationships those agents build with their clients pose unique challenges for a software engineer, Frey said. To that end, Redfin’s software engineers often get out into the field, shadowing agents to learn about the process on the front lines of real estate, while keeping up with market trends. That balance of customer service and data analytics is paying off. When Frey joined Redfin, the company was serving 19 U.S. metro markets; now the company is in more than 80 markets. That customized experience helps customers save time when searching for homes. Building off that success, her team is currently focusing on other ways to use data and software to shave time off some of the more drawn out steps in the real estate process. For Frey, a software engineer at heart, managing a growing team of engineers presents its share of challenges. But she thoroughly enjoys the collaborative nature of each project, and draws inspiration from the potential to help people have a better real estate experience.